You can make a snapshot duplicate of an existing bill of materials for accurate, consistent edits; drag and drop data-rich items onto the BOM; and print multi-level indented bills of materials, and roll-up costs and materials into top-level product structures. Enjoy the advantages of professionally developed and maintained PLM software: valuable features that go beyond simple BOM management; comprehensive, context-sensitive documentation; professional configuration and operation advice; training materials; on-going feature improvements. Watch how fast and easy bill of material management can be! 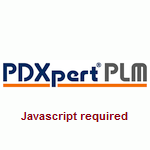 Or, for more details and a screen image, see PDXpert PLM's structure management features. The benefits of BOM software include increased sales revenue through faster product releases; lower product costs by using more accurate BOMs; and reduced administrative overhead by providing important bill of material information (like cost and material roll-ups) automatically. PDXpert PLM has been specifically designed for smaller organizations making the transition to automated product structure management. It's easy for users to find their items using free-form text search, then create complex products by simple drag-and-drop BOM construction.